Hi and thanks for clicking the link to download my free guide to buying a lawn mower. This guide is packed full of information and advice on the pro’s and con’s of the different lawn mowers available in the UK today. 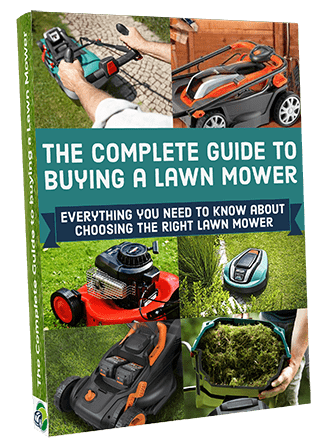 Take a look at the table of contents below to see just how in depth this guide is and I’m sure will help you to make the right choice when choosing a lawn mower that will best suit your requirements. All I ask is that you share this FREE guide on Facebook or Twitter using the buttons below, that’s it, then its all yours. To access this free guide, all you need to do is Share this FREE Guide on Facebook or Twitter. You will then be able to download “The Compete Guide to Buying a Lawn Mower” absolutely Free of charge. Your lawn can either be a source of great pride or a troublesome burden.. A lot of that will depend on whether you have the right lawn mower or not. With so many different options, models and alternatives, it is not always easy to choose. We have done some serious investigating for you and what follows is the low down on everything you need to know before investing in a lawn mower. What type of lawn mower is best for me and my lawn? Your lawn can either be a source of great pride or a troublesome burden. A lot of that will depend on whether you have the right lawn mower or not. With so many different options, models and alternatives, it is not always easy to choose. We have done some serious investigating for you and what follows is the low down on everything you need to know before investing in a lawn mower.